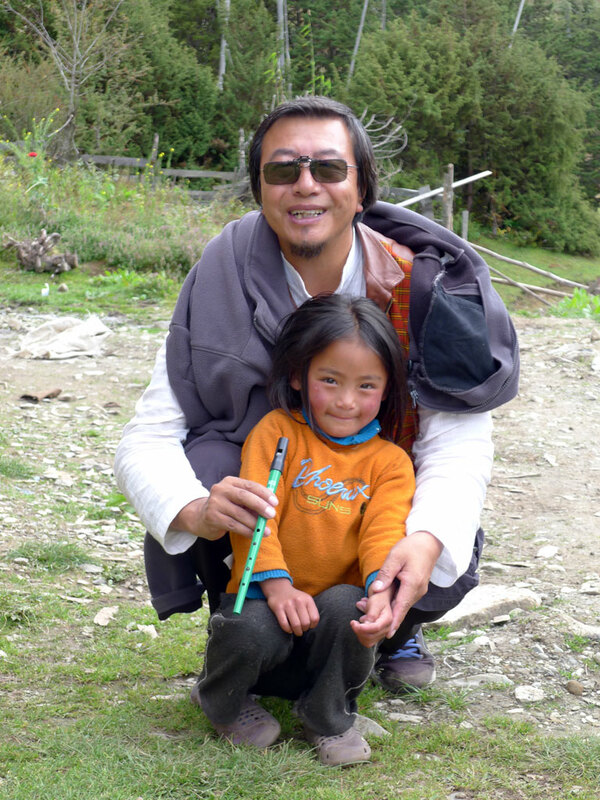 Promoting intangible culture for Gross National Happiness (GNH) in Bhutan! Community Vitality and Psychological Well-Being are two of the nine domains of the Gross National Happiness strategy in Bhutan to measure happiness and well-being of a people. 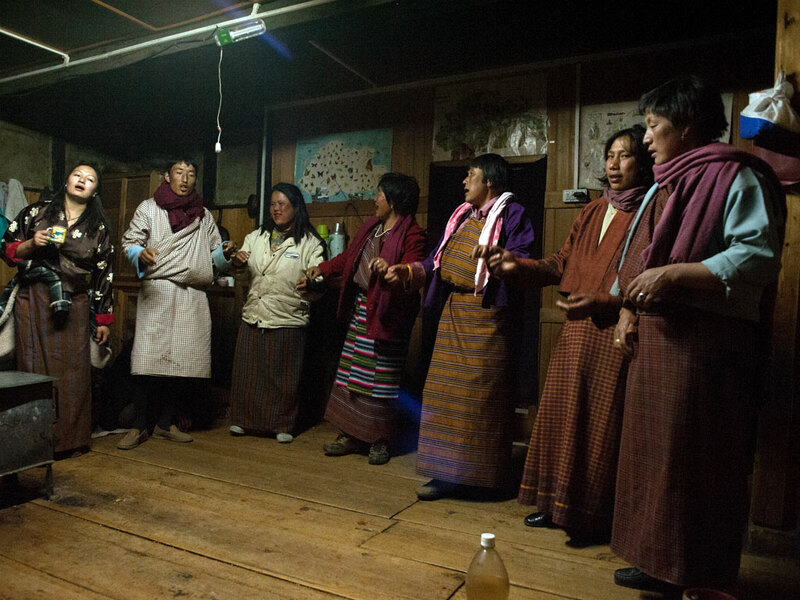 Sociality and conviviality are core-ingredients for thriving community vitality in Bhutan that find their expression during festivals and social gatherings. Music and singing constitute a major component for social events in Bhutan. The context for sociality in its many forms is hospitality. 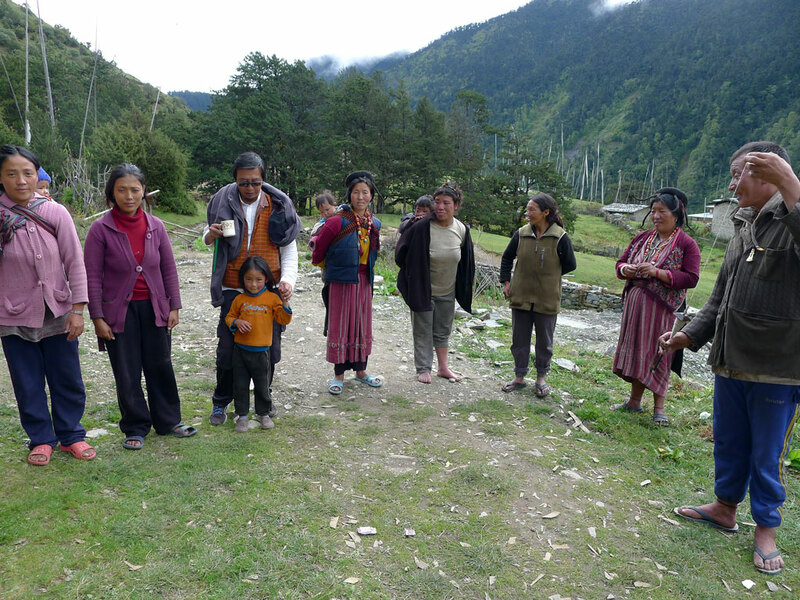 Traditionally, Bhutanese villagers have been engaged in exchange across valleys in order to sustain themselves. This exchange was embedded in the so-called gnas po system, a web of traditional hosts maintained over generations. The yearly migrations between valleys ensured the continuity of once established bonds between host families. Receptions of guests encompassed conviviality, commensality, gift-exchange, and music, including, singing and dancing together. 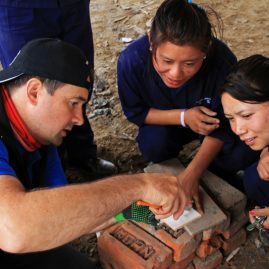 These activities were important for re-establishing relations between the individual and the community, and between collectives of different communities. 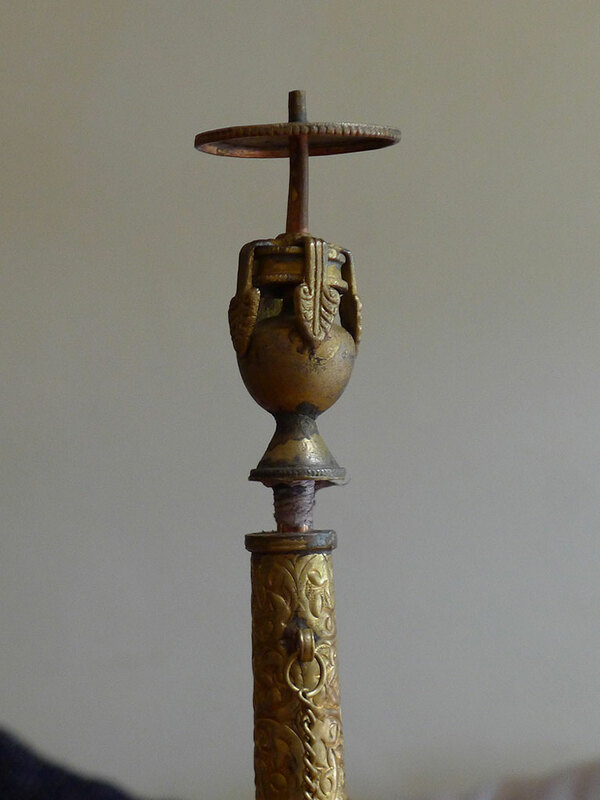 In earlier times, witty story telling by means of singing, as well as communicating sentiments by “singing dialogues” were substantial components of such encounters. 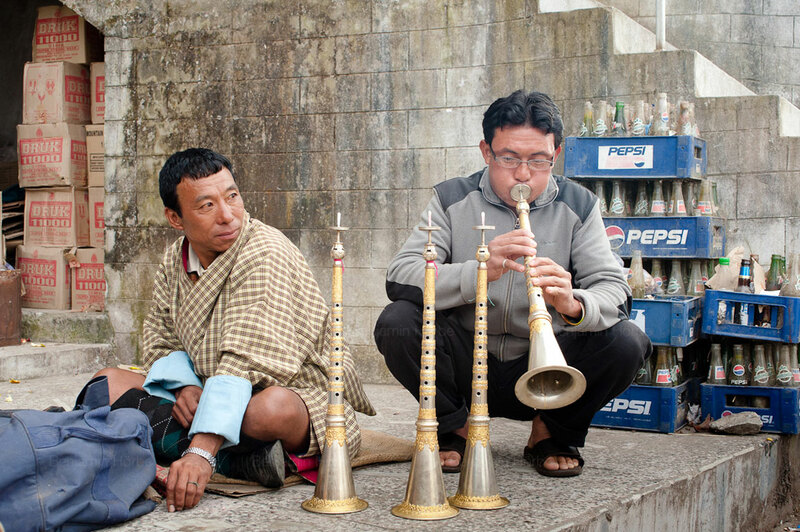 It is the particular context of traditional hospitality, in which music in all of its forms, plays an important role in maintaining and enhancing community vitality and thus nurturing psychological well-being, collective cohesion, and solidarity. 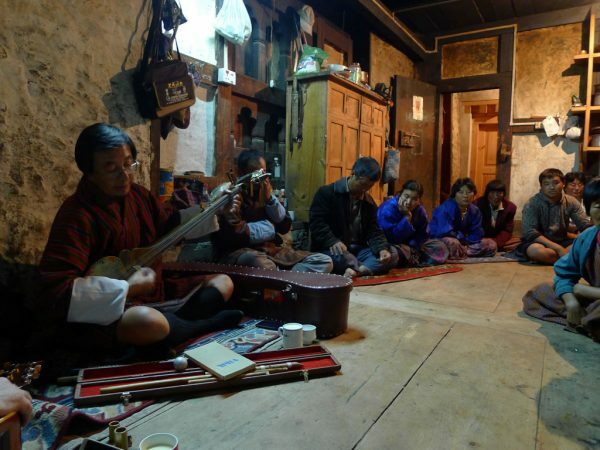 Today, people in remote villages do not enjoy much entertainment apart from the annual tshechu (religious festival) and the occasional spontaneous gathering on auspicious occasions. New infrastructure development also contributed to the vanishing of the seasonal migrations. Thus the gnas po system with its extensive relational networks across the country has disappeared or drastically dwindled. 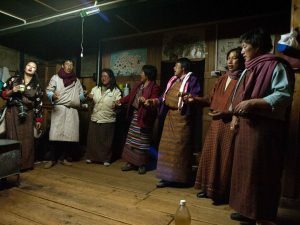 Reasons to gather for singing, and dancing and the exchange of stories and news through the medium of music are less frequent than they used to be in remote vilalges. Also, in many well-connected villages nowadays, television has replaced the previously lively gatherings in the evenings. Additionally, the increasing rural exodus of young people is adding to the problem of cultural depletion when at the same time, the preservation of traditions and culture is such an important aspect of GNH. Many young people have been away from their villages for a long period of time due to formal education. Many do not see much future in staying in their villages and becoming professional farmers. The knowledge gap between them and their parent generation should not be underestimated. Furthermore, compared to urban centers, the villages are disconnected from many cultural events. 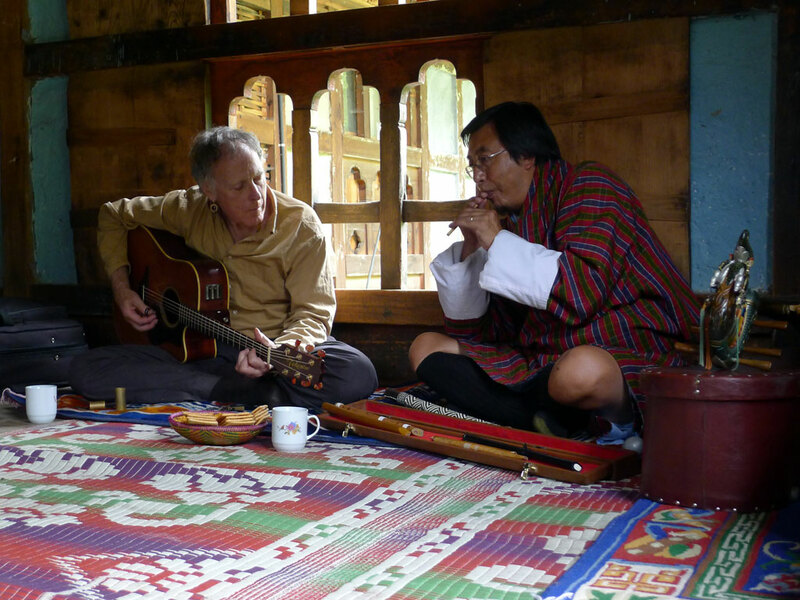 Bhutanese however, still do consider it important and a sign of social well-being to receive guests and entertain guests. 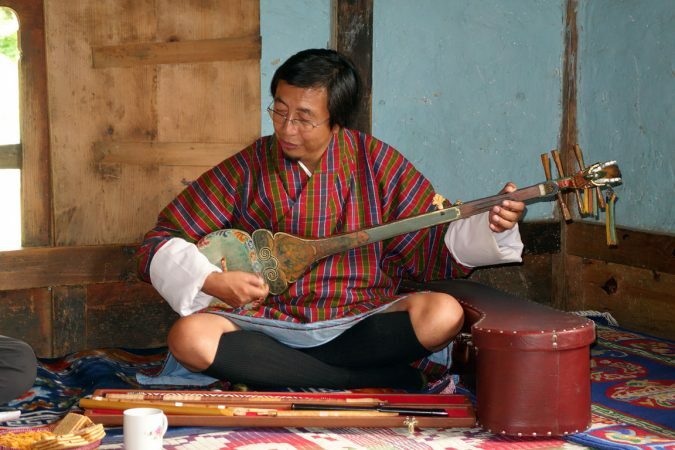 Music has been the main medium for the expression and exchange of news and certain mental and emotional states and the local languages offer highly metaphorical expressions. 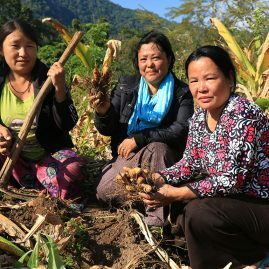 Community vitality and psychological well-being are very important when considering new economic opportunities such as farm stay tourism to generate income for villagers, as well as a means to offer more diverse prospects for young educated people. 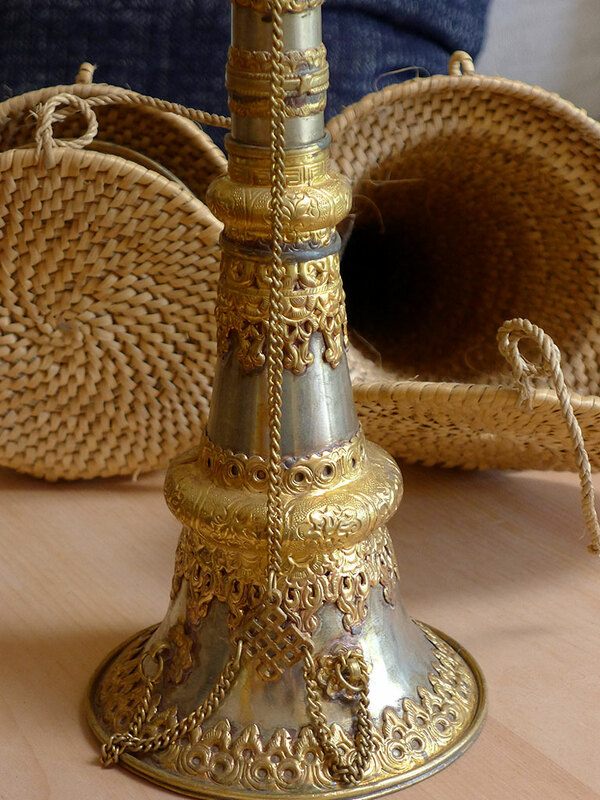 But first one needs to understand the relevance of local traditions and cultural practices for social relations. 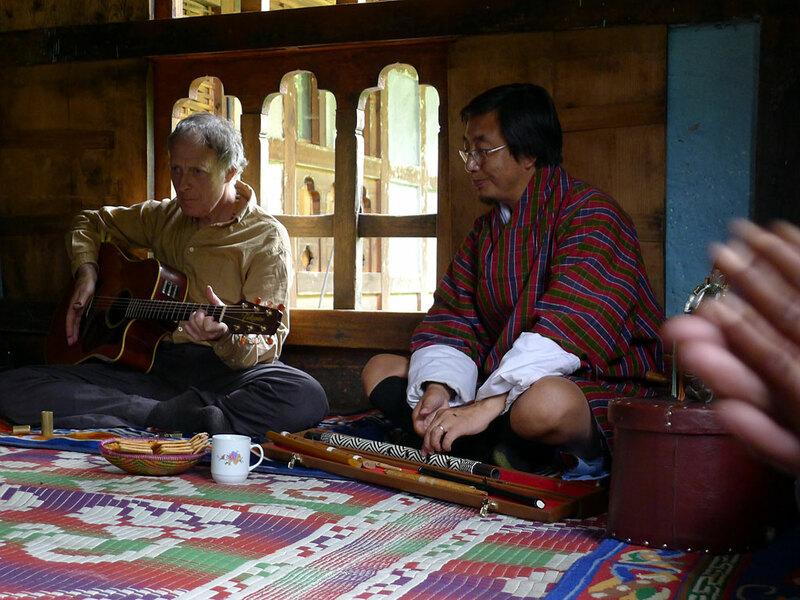 In this project the focus is on music and traditions related to musical performance in rural Bhutan. 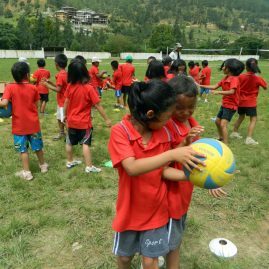 The importance of conviviality, commensality and sociality for psychological well-being and community vitality cannot be overstated in Bhutan. 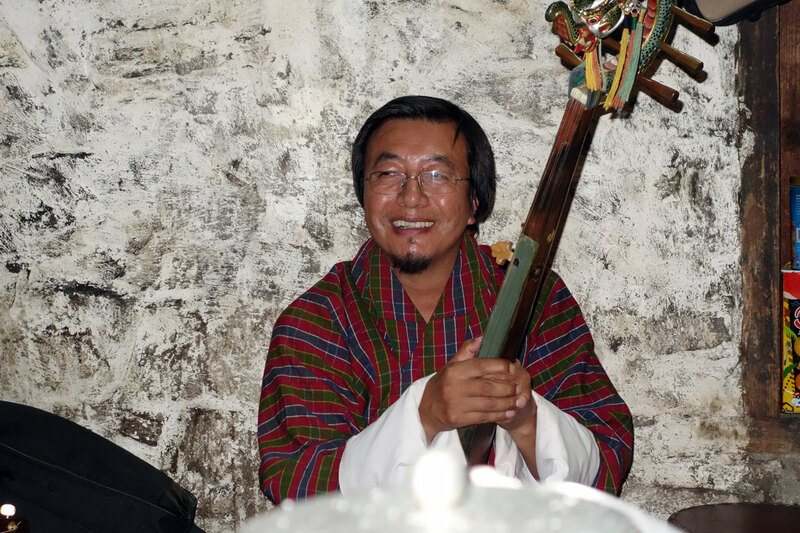 Especially within the framework of hospitality, the exchange and the sharing of food and drink are fundamental to Bhutanese relationship fostering. 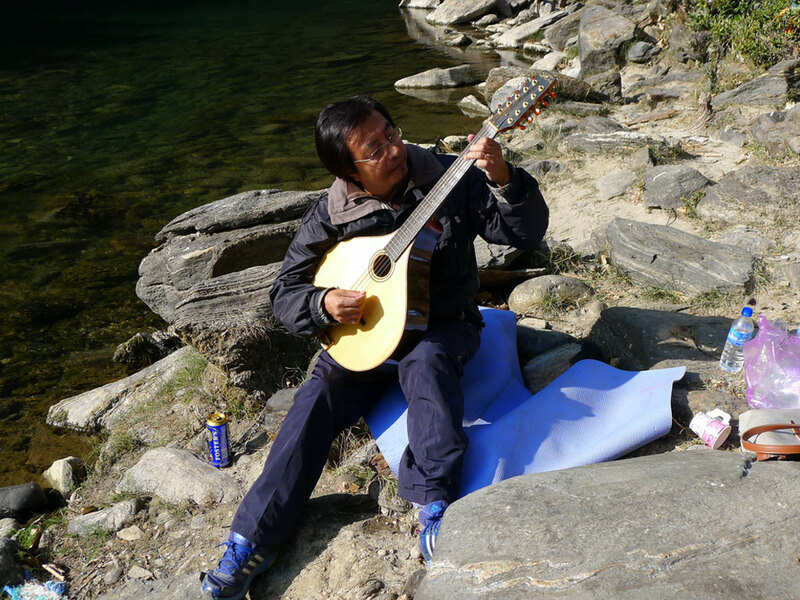 Music can be crucial for the happiness of a people and it is a means to transmit important messages and express sentiments. These fundamental aspects of a traditional way of life are highly relevant for sociality and person-hood. To demonstrate the importance of traditional music for social relationship fostering in Bhutan. 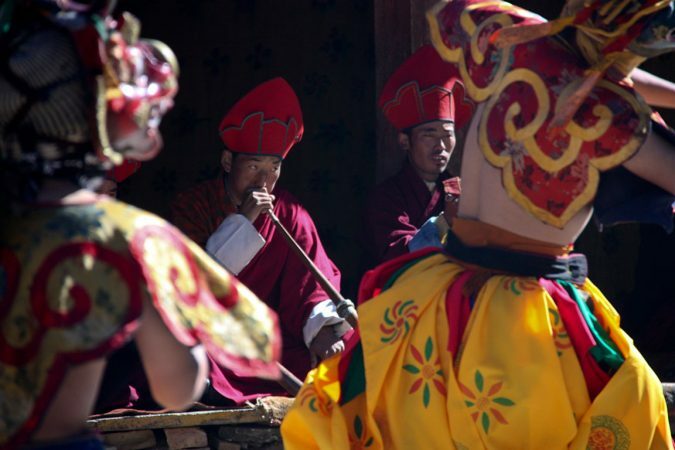 To highlight the importance of Bhutanese traditional hospitality such as travelling, hosting, etiquette and exchange within a dwindling gnas po system. 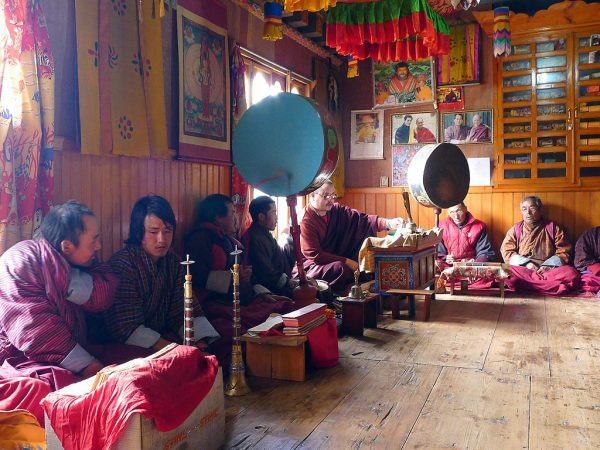 This one-month initiative seeks to raise awareness of the richness and relevance of Bhutanese musical traditions within the context of hospitality and hosting in their entirety as well as their importance for socio-cultural and psychological well-being of people and a community as a whole. Music will be the main medium in this project embedded in a way of travelling and approaching villages that is derived from the traditional gnas po system. 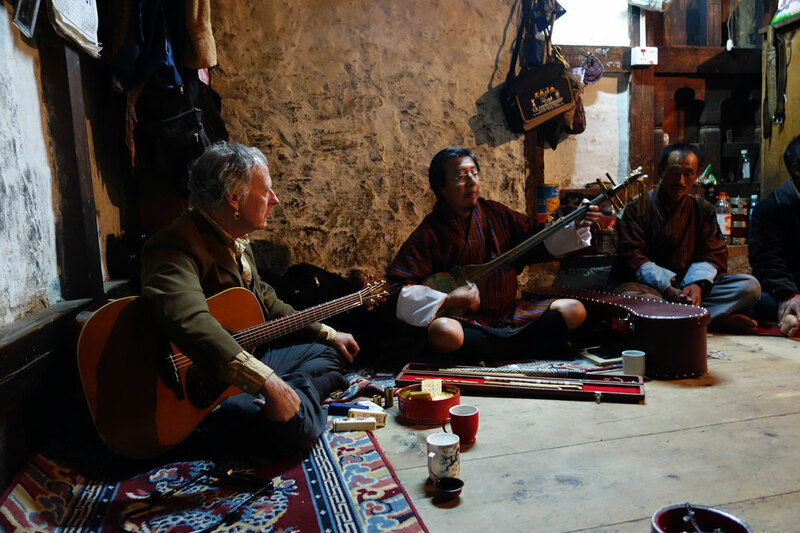 Within this one-month tour of a European singer- songwriter and a Bhutanese traditional musician, Jigme Drukpa and Paul Cowlan follow the footsteps of historical local travellers within the traditional gnas po network that used to span over the kingdom and beyond. They will perform for their hosts and the village community, tell stories about their journey and lives, and thus impart on their audience that music is indeed a cross-cultural bonding agent, combined with the unique local hospitality setting and the sharing of food and drink. This project seeks to raise awareness of the potential and strength of local traditions wisdom for truly fostering social relations.